If you and I are going to be as successful as possible in the competitive world of online marketing, we need to have a deep understanding of our buyers. We need to set up well-defined, detailed customer profiles. And we need regular feedback from our current customers and potential buyers. This feedback can be extremely valuable. It can tell you what you are doing right, so you can do more of that. And it can tell you where you need to improve. It can help you adjust and refine every part of your online marketing strategy and the tactical approaches you take. So please understand that you want this critical customer feedback. But how do you get it? There’s perhaps no better way than customer survey. 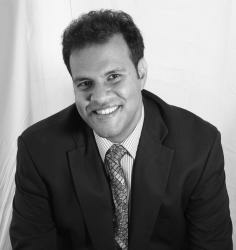 They are an ideal tool to help you get the feedback you need to improve your online, and offline, marketing approach. Now as with everything else in marketing, there’s a wrong way and a right way to go about conducting online surveys. You don’t want to send a survey to many thousands of customers and have none of them respond, do you? How does it help you if you put together the “world’s best customer survey” and email it to your very large list if no one actually takes the survey? If they don’t even notice your survey email in their inbox? How does it help you if the feedback they give you is too vague and generic for you to take action with it? To succeed at online surveys, you need to structure your survey in such a way that you get the highest quality feedback possible. You also need for your email with the customer survey link to actually get noticed, and you need plenty of recipients to respond to your survey. Today, let’s talk about how you can use online surveys to help you refine and improve your online marketing results, including the result that matters most to you – your conversion rate! First, you need to get your survey noticed. I’m assuming you will be notifying your survey recipients by email, so we’ll discuss how you can enjoy more success with that approach. As with any other marketing email you send to your list, your survey email has to get noticed while still in your customer’s inbox, and it has to get opened. 2) Imply that they will enjoy some nice benefits if they open and read your email and do the action you want them to do. Why not use this same powerful formula for your survey email? Don’t just put the words “Customer Survey” in the subject line. “Want To Help Us Serve You Better?”. If they take time out of their busy schedule to help you by filling out your survey, they’re doing you a favor. So give them a compelling reason why they would want to do it. A compelling reason that is to their direct and immediate benefit. In addition to telling them that it’s so you can provide them even better service, you might want to offer a “bribe” to take your persuasion up a notch. You might want to offer a special free e-book, white paper or access to an exclusive, “not for public viewing” webinar on a subject of interest to them, a subject tied very closely to your business. You might want to offer 15-30 minutes of free consulting. Perhaps you could give them a gift card, especially if you operate a local retail business. OK, so they've opened up and are reading your email; the email text is where you “sell the click”, where you state your case in an effort to convince them to click through and fill out your survey. This email body content is an ideal place to leverage your best copywriting skills and use the WIIFM Principle to sell readers on clicking through, taking and finishing your survey. Also, in your email make it crystal clear that your survey will be short and very simple. Nothing will crush your survey participation and completion rates like your customer starting the survey and immediately concluding it will be hard, frustrating work. Remember – they are doing you a favor. Follow through on the promise you made in your email and make the survey short and simple. Doing so will increase your completion rate and, in surveys where you have open-ended questions where they write out their answers – you should – this will increase the quality of the feedback they give you, enabling you to produce even greater improvements from it. Speaking of improvements gained from the feedback you get from customer survey, when you get this valuable data, do something with it! Don’t just collect it because you feel like that’s what you’re supposed to do. Analyze it. Use it to make positive changes. Determine what you are doing right, and keep doing that. When you decide you need to change course, based on customer feedback, do it, using the data the survey yields as a guide. Don’t take this valuable information and do nothing with it. We run customer surveys to gain new insights that can help us improve our conversion rate. 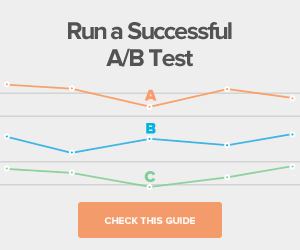 Without conversions – sales – we’re sunk. The beauty of online marketing is that you can constantly be testing your approach and making changes with the goal of increasing conversions. 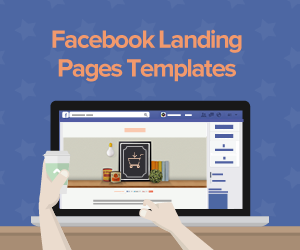 And few things can help you enjoy a high conversion rate like the right landing page. 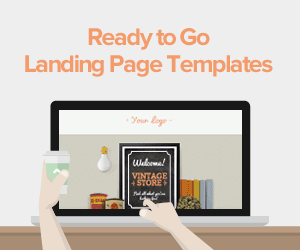 A great landing page is an important online marketing tool. Without it, your level of success won’t be anywhere near as high as it could be. Of course you want your landing page to have solid copywriting and great design. You want it to have relevant, eye-catching images and headlines. But don’t stop there. Online marketing is competitive. Give yourself the advantage of having the best landing page software platform possible. 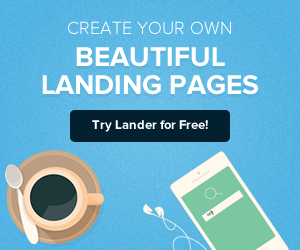 Give yourself the online marketing advantage that is Lander.